Why Should You Move to Rocklin, California? Everybody dreams of owning a home in a great community. With top schools and wonderful opportunities for them and their family, Rocklin has become that place for many. If you’re not familiar with the Rocklin area, this article will enlighten you to all that the city and Placer County has to offer. 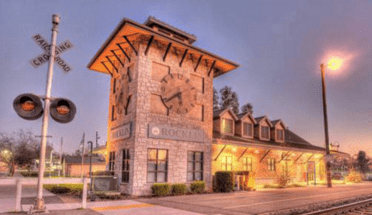 Named one of the “10 Best Towns” for families in America by Family Circle Magazine in 2008, Rocklin has been one of the fastest growing cities in California. When considering your next move, experts advise that you visit- not only to find your future home and neighborhood but also to get acquainted with the surrounding areas and its additional opportunities. In the past few years, costs have escalated in California’s coastal cities, and thousands are relocating to reduce cost of living but still within close proximity to top tourist destinations, think Lake Tahoe and San Francisco. Not only is Rocklin located near many attractions and recreational amenities, but top performing schools and quality healthcare are only minutes away. Rocklin is home to eleven elementary schools, two middle schools, two high schools (Top Ranking Del Oro High School) and two higher education institutions of William Jessup University and Sierra College. See all awards, top honors and rankings here. The City of Rocklin features multiple events, festivals and concerts building the community atmosphere. Big events such as the Rocklin Ramble, Food Truck Mania and the Celebrate America Event have become some of the largest family-friendly to attend. Local favorites like the Roseville Galleria and the Fountains at Roseville feature high-end shopping, restaurants, unique stores and seasonal family events. Just a few minutes drive south you can enjoy the City of Sacramento with the new Golden 1 Center stadium, home of the Sacramento Kings and world-class concerts and talent. Trying to get away from it all? Situated along Miner’s Ravine there are endless hiking, biking and walking trails to discover the great outdoors. Enjoy a relaxing day on the river or camping in the nearby woods. Winter months attract snowboarders and skiers to Squaw Valley, and Sugar Bowl. See all outdoor recreation in Placer County here. Our Crowne Point community features the latest in new home design, thoughtfully planned open floor concepts and the latest in new home technology. Our homesites range from ¼ to ⅓ acres and feature gourmet kitchens, outdoor living spaces, lofts (per plan), luxurious master suites with spa baths and much more. Offering innovative designs and architecture that compliments the surrounding beauty, come find your new home at Crowne Point today. To receive more information about our community, register below. Yes, I would like more information about Crowne Point in Rocklin, CA. So, have we convinced as to why you should live in Rocklin, CA? Situated in a great location close to nearby attractions or headed in the opposite direction for outdoor activities and the chance to get away from it all. Some of the best healthcare, schools, and opportunities all in your backyard. Visit Rocklin today.